The days will soon be getting colder and shorter. 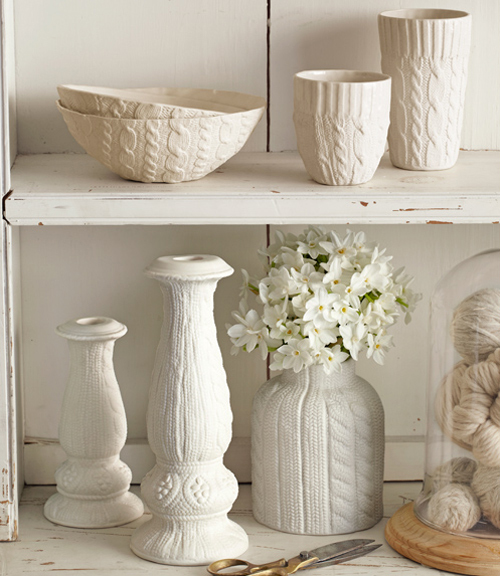 With these knitted home decorations you can create a warm and cozy atmosphere in your home. 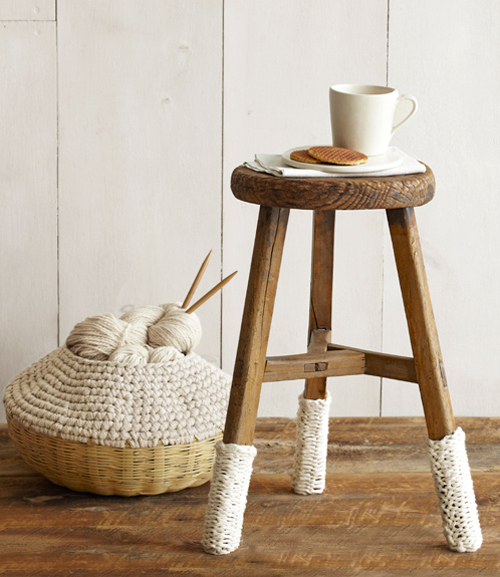 The fun leg warmers for chairs (image above) are from Etsy shop Biscuit Scout. 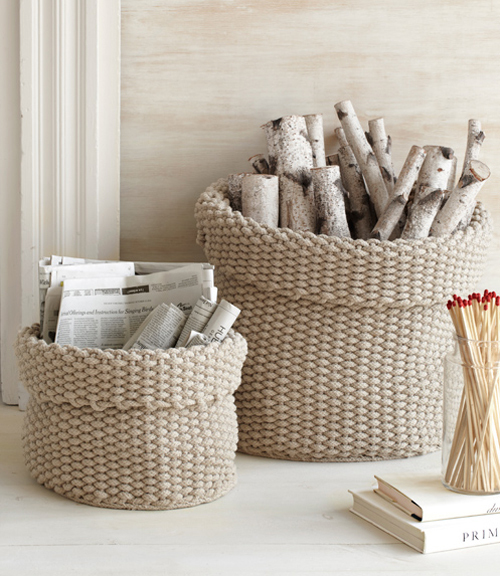 The beautiful bamboo basket with crocheted top is made in Guatamala and it available from Diggs. The chunky cable knit hot water bottle is from Biscuit Scout. 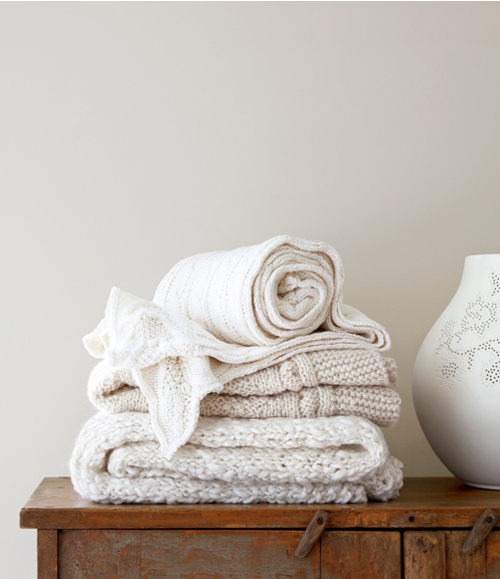 The cable knit ceramic bowl and cups are from Etsy seller Reshape Studio. Super leuk die gebreide ‘sokjes’ op de pootjes van het krukje! I fell in love with cable knit throws during the last autumn/winter season and it seems that knitted and crocheted home accessories are getting even more popular… nice 🙂 Lovely selection here! I love this! It’s so cute, I can’t wait for the weather to cool down so I can bring out all my knitted sweaters. It is really different! I saw first time this type of home accessories. Thanks for sharing. First time I saw this kind of home accessories, super nice collection!!! I uber love the knit for ceramic bowls and cups! Do you accept orders? I’d like to have some of my housewares be covered with knits. Nice job! I love color white because it is relaxing and clean to look. I like anything on the picture and I can’t wait to buy soemething like these. Great bathroom ideas! thanks for sharing.